In the beginning of Ben's article “Shooting Up Stem Cells“, you see a video of him grunting, groaning and pushing against a special machine designed to quickly exhaust the muscles and allow for extremely efficient and effective “single set to failure” training. Since then, He mentioned this “special machine” in multiple podcasts, and He finally managed to Dr. Chris onto his show… The machine is called a “PeakFitPro” and the man who designed it is Dr. Chris Montanaro DC, DIBAK, DCBCN. 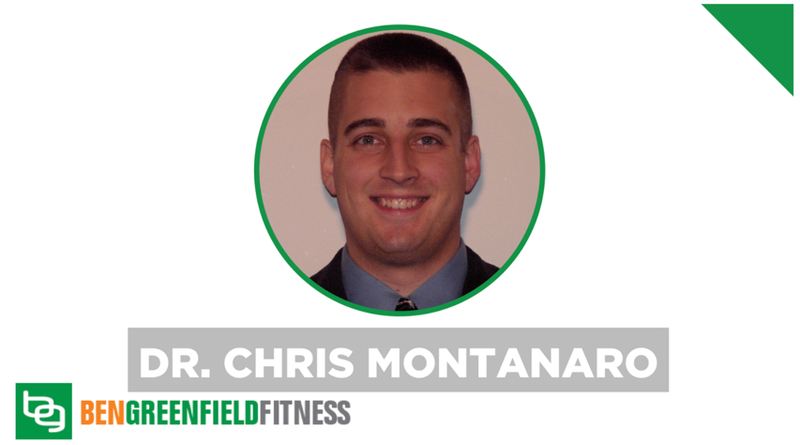 Dr. Chris is a chiropractor and a Diplomate in AK and a Diplomate in Nutrition. He teaches certification courses to doctors of various disciplines including doctors of chiropractic, medicine, naturopathy, and homeopathy. Dr. Chris is also a member of the adjunct faculty of New York Chiropractic College & Palmer Chiropractic College in Florida. Ben Greenfield is a biohacker, human body and brain performance coach, ex-bodybuilder, Ironman triathlete, professional Spartan athlete, anti-aging consultant, speaker and author of the New York Times Bestseller “Beyond Training: Mastering Endurance, Health and Life” (www.BeyondTrainingBook.com). In 2008, Ben was voted as NSCA’s Personal Trainer of the year, in 2013 and 2014 was named by Greatist as one of the top 100 Most Influential People In Health And Fitness, and Ben's articles, podcast and videos reach over a million unique views each month.